About four years ago, I discovered Teachers Pay Teachers with my grade partner, Jenna. We were looking for a unit or two for Christmas Around the World. We found more than a few, and before we knew it, we were hooked on TpT. Not long after, I stuck my toes in the water, and listed a few items for sale. One of my very first products was my "Best Friends" unit. 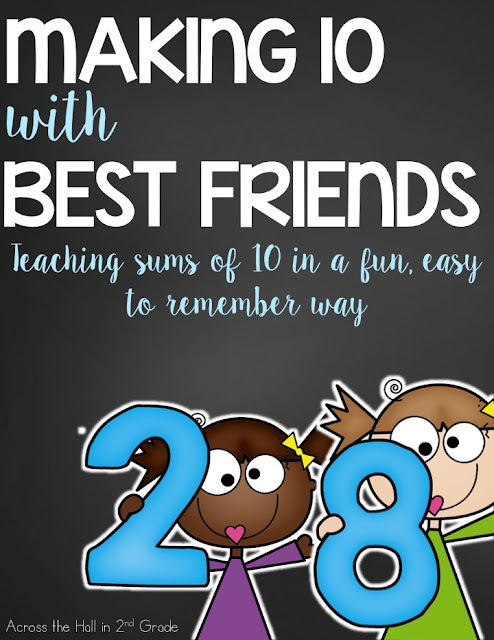 Best Friends was a strategy I used to teach sums of 10 in my classroom for years. I hand-drew a couple of characters and buddied them up to make 10. The strategy was super succesful and my students got a kick out of their number friends, so I was determined to make a unit on it and sell it. Let's talk about what wasn't working, shall we? Well, just about everything! Although I still love me some chevron, the cover on the old version was too busy and it didn't highlight what the product was all about. I still love the Jessica Weible graphics I used but they didn't work in the product. 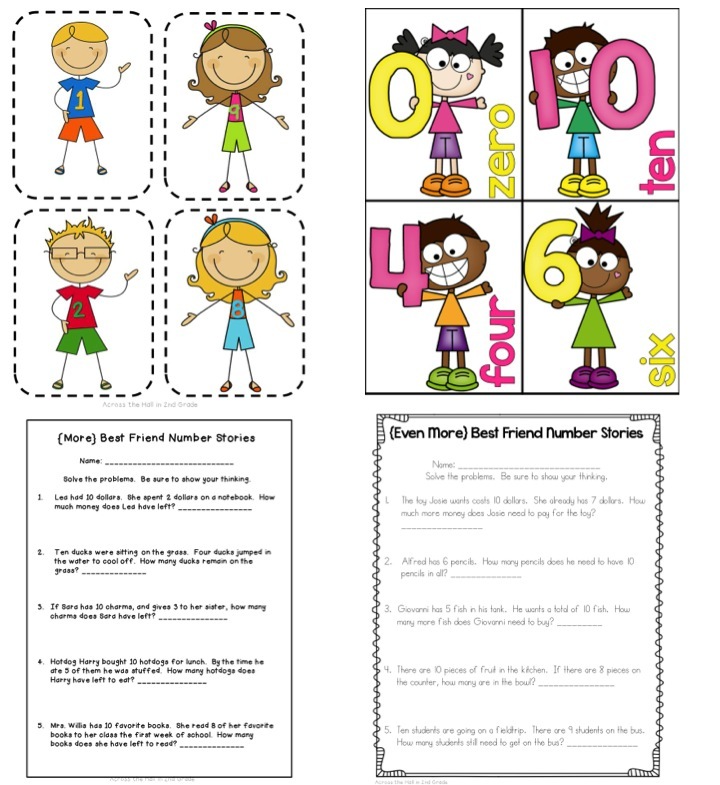 They were too hard to cut out and because they're stick figures, it was hard to show the numbers. I have new favorite fonts now, so I had to use those in place of the ones in the product. Perhaps the biggest thing that wasn't working was the formatting and spacing. Fonts were too small, there was too much space between items on some pages, and not enough on others. 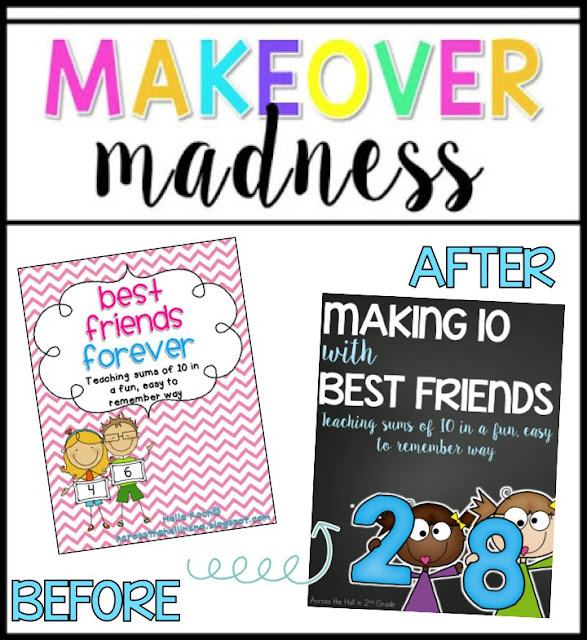 And, so now Best Friends is totally updated and a whole lot cuter and user-friendly! The Memory Game portion of the unit now comes with an ink saving version...important for teachers because our colored ink is so precious! And perhaps most important? A new price! 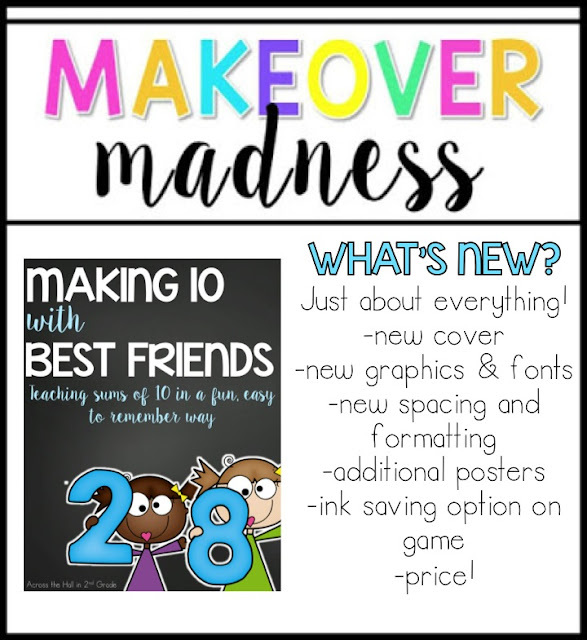 Pricing was something else I struggled with when I started on TpT. I read a VERY IMPORTANT thread on not devaluing our work and making sure we charge a fair price for our hard work and originality. And while I still think fair pricing is an invaluable took as a seller, I know now that the price I was charging wasn't fair. 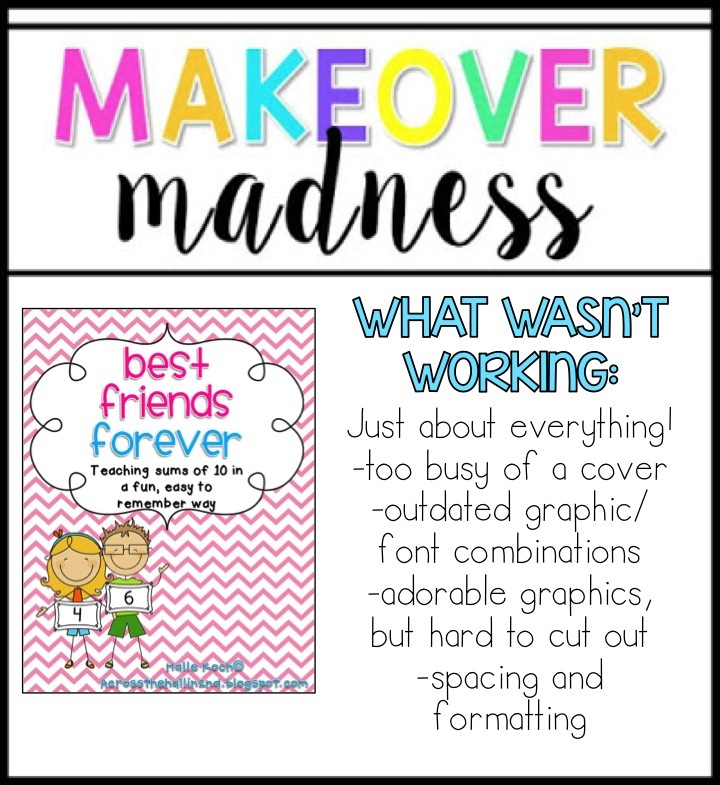 I've lowered the price a tad bit to reflect what I think the unit it worth, and knocked off another dollar for the remainder of Makeover Madness Week, so you can grab it for $2.00 through Sunday 6/21!! This is too cute!!! Love it for fall of the next year! Isn't it amazing how styles evolve? The new one looks so much more current! 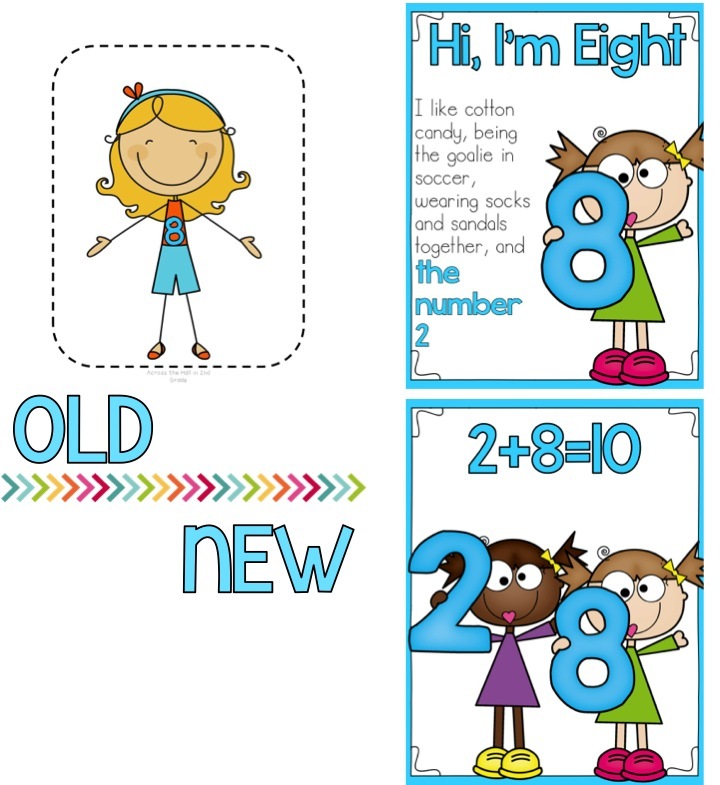 Love the kids with numbers clipart- definitely easier to see the numbers! I love this!!! It's super cute and such a great way for the kiddos to work on getting to know each other at the same time. 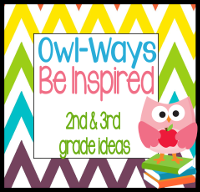 I am definitely going to check it out for my kiddos in the fall! Thanks!!! This is very cute! It looks like a fabulous makeover!! Wow, great work! I think it looks outstanding! Definitely something I would enjoy seeing in my classroom, and I know the students would like this.